The Hubble Telescope just captured one of the most staggering photos of the Triangulum Galaxy, one of the Milky Way's closest neighbors. 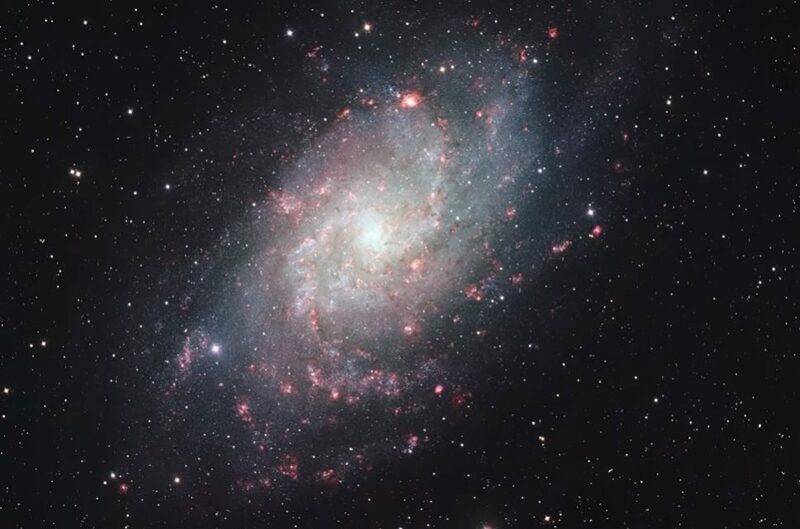 About 3 million light-years from Earth, in the northern constellation of Triangulum, one of the most distant celestial object visible to the naked eyes sits – the Triangulum Galaxy. This spiral star system, known as M33 or NGC 598, is the third-largest member of the Local Group of galaxies, just behind our Milky Way and the Andromeda Galaxy. 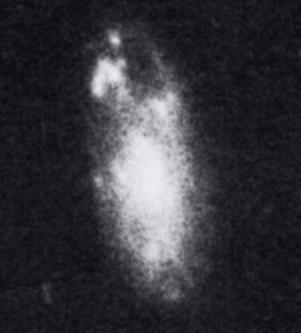 However, Triangulum is also the smallest spiral galaxy in the Local Group. In fact, its proximity leads most researchers to classify it as a satellite of the Andromeda. In an exceptional viewing environment (no light pollution), a person can see Triangulum as a faint smudge in the night sky. Fortunately for us, there’s the Hubble Space Telescope. Once again bringing the vastness of space into perspective, we can now see Triangulum in all its glory. Just recently, Hubble captured an unprecedentedly detailed portrait of the stunning Triangulum Galaxy. The 665-megapixel high-resolution photo is composed of 54 Hubble fields of view all stitched together to reveal around 25 million stars in the star system. The mosaic spans 19,400 light-years across and also shows areas of the galaxy where young stars glow bright blue. The Triangulum galaxy is one of the ideal galaxies to study as it faces Earth. The orientation of this galaxy allows scientists to get a better view of its star distribution and distinct spiral structure. Now, researchers think that the Triangulum Galaxy could be a late arrival galaxy to the Local Group. The assumption is primarily based on the undisturbed gas on Triangulum’s orderly spiral arms which indicate that it didn’t have the same turbulent history as the Milky Way or Andromeda. The downloadable version of Triangulum’s high-resolution image is available here. Where do you think should be the Hubble Telescope’s next destination?